It's in Civenna, lovely fraction of Bellagio. bar,small supermarket, shop of fruit and vegetables, swimmingpool and camp of tennis. The apartment is in a ancient and renoveted costruction of 3 apartments where the owner lives. The property has not view on the lake but it is very nice, welcoming and modern, There are two large bedrooms, one bathroom, spaciuos living room and very equipped kitchen. It has got a laundry where there is a washinmachine. You can visit Villa Melzi with his botanical garden. If You love trekking, mountain bike and walk Civenna is the perfect place, there are wonderful trails in the nature. If You love nature, beauty, harmony and history this is the perfect place for You! After a warm welcome by the owner I had a wonderful week with my mother and sister in Via Roma in Civenna. The full-equipped apartment is on the ground floor of a family house in the middle of this lovely village. 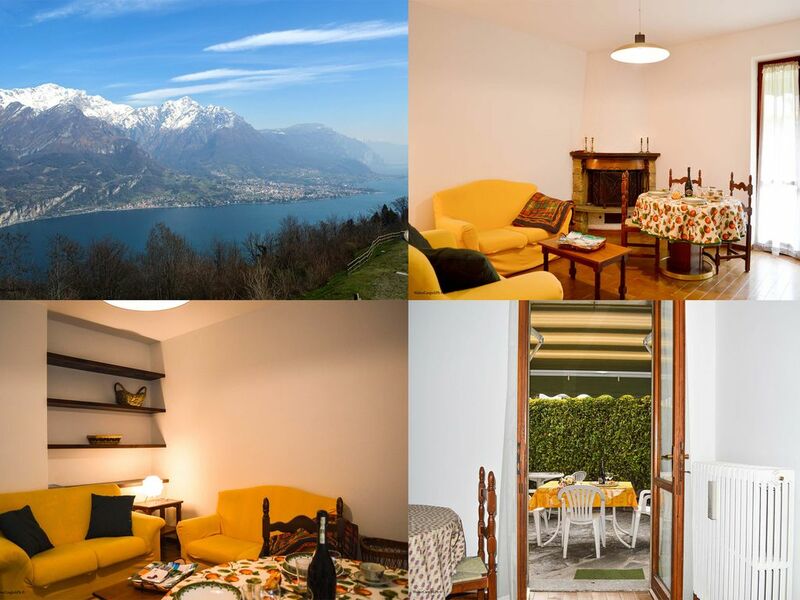 On walking distance you have little shops and beautiful views on the lake and the mountains. And Bellagio and the other villages around the lake are easy reachable by car. Sitting in the small private garden of the apartment and hearing the sound of the daily activities in the village, I actually felt part of the community, which I like very much. If I come back to this part of Italy, I hope that this apartment will be available for me!